Empirical Audio® was formed in 1994. During our first five years we developed cable technologies, applied for Patent protection and developed our web-site. We launched our web-site in 2000. We sell primarily direct to end users over the Internet. 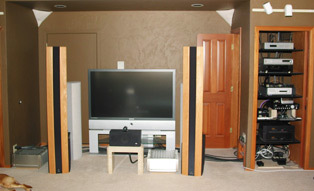 Our cable products were reviewed by Stereophile in 2005 and were listed in recommended components for several years. We started modding other manufacturers component products in 2002, primarily DACs, but also preamps, amps and CD players/Transports. Some of our amplifier and DAC mods such as the JC-1 monoblocks, HCA35000, Benchmark DAC-1, DEQX, Northstar 192 and Electrocompaniet ECD-1 are legendary now. Reverse-engineering all of these products was a learning experience for us, providing us with a lot of “dos” and “don’ts”,as well as giving us the opportunity to experiment with a lot of different capacitors to determine which sounds best. We also determined what design tricks are required to make certain devices like D/A chips and op-amps sound good. 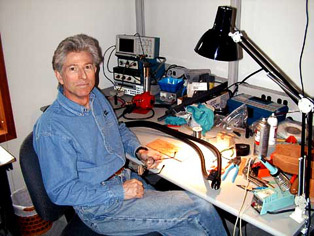 After many customer requests, we developed a number of of our own Computer Audio products, including the popular Off-Ramp Turbo 2, which leveraged Steve’s computer industry knowledge. In 2009, we discontinued modding and transitioned completely to our own Computer Audio product designs, while transferring some of our most popular mods to subsidiaries. We found the combination of computers and audio to be a perfect fit for Steve’s design background. Steve Nugent, who is an Electrical Engineer with 25 years digital design experience in the computer industry designs all of our products. He has a broad experience in digital system and interface design, board layout, transmission-lines and other relevant technologies. Steve was a design-team lead on the Pentium II at Intel Corp. and holds 22 patents in various cable and digital technologies. Steve has had audio as a personal hobby for over 39 years. Empirical Audio’s product philosophy is to create products that are affordable, and yet push the envelope of performance. To accomplish this, our designs include ultra-short signal paths, both analog and digital, and many innovations which are strictly ’outside the box’. We call upon all of our special skills in Transmission-line effects, ESD, circuit board design, grounding and shielding to deliver the best-possible performance. Parts cost or price-point is never a factor. The best parts available are only good enough. Performance is the priority. Cosmetics are secondary. We are not interested in offering a “top-to-bottom” product line with a range of performance and price-points. Instead, we design the best-sounding gear that we can and then competitively price it based on our actual costs, not how it compares to other competitors similar gear. When we start a product design, we do not set a price-point. We do everything necessary to get the best performance from the device and then we tally up the costs and set the price. We are able to use high-end components from single-sourced vendors because our model is not high-volume. We are able to price our products competitively because we don’t factor in a 4-6x multiplier for Distributors and Dealers. We don’t argue that the “trickle-down” effect can be beneficial, but we simply don’t have the resources to offer a large product line, so we focus on being the very best at what we do. We want to offer our customers a refreshing new model of doing business. One where we are actively involved in solving their problems and eliminating weak-points in their systems. This is sorely needed since the days of brick-and-mortar audiophile storefronts are quickly disappearing. We strive to give our customers a quality shopping experience too. We do not clutter our pages with pesky flashing ads from other vendors which we believe can be irritating to our customers. We are completely dedicated to the pursuit of reproduced audio that sounds live. It is our passion.